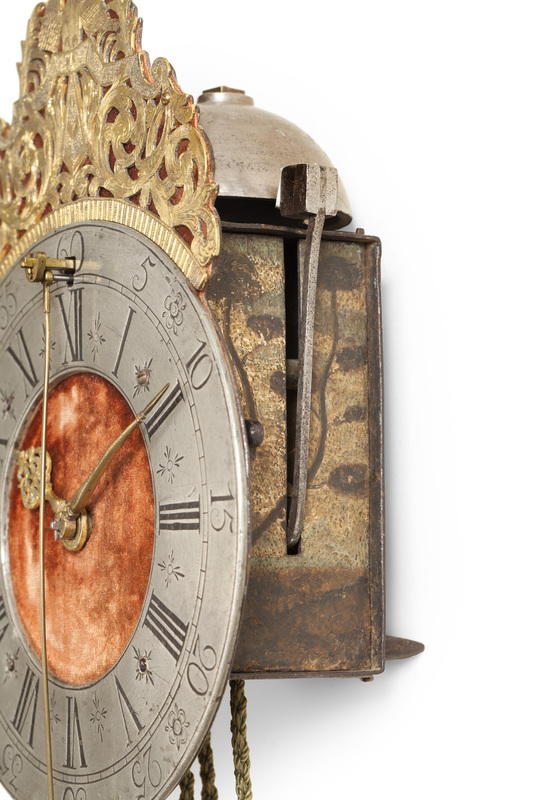 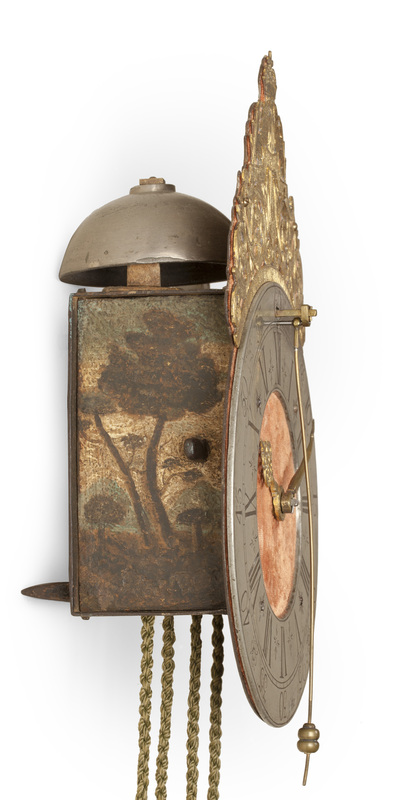 A German iron striking wall clock, a so-called Kuhschwanzuhr, made in 1734. The circular iron dial has a pewter chapter ring with a velvet-covered centre and is surmounted by a pierced and engraved gilt brass ornament, showing a crown at the top. 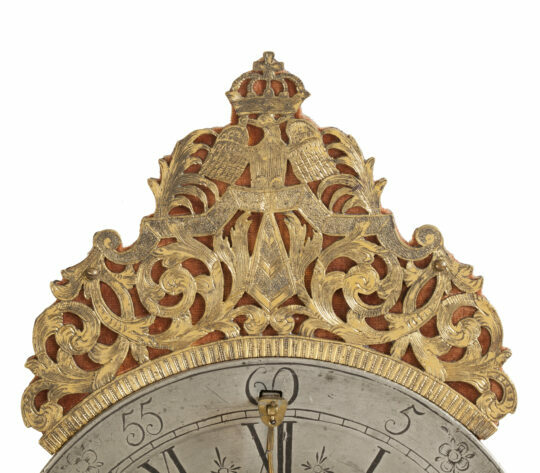 The time is indicated by a pair of pierced and engraved brass hands. 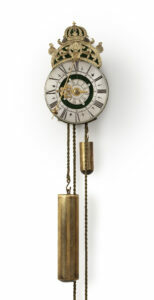 The day-going, weight-driven, brass-plated movement, which is housed in a painted iron case, has going and striking trains. 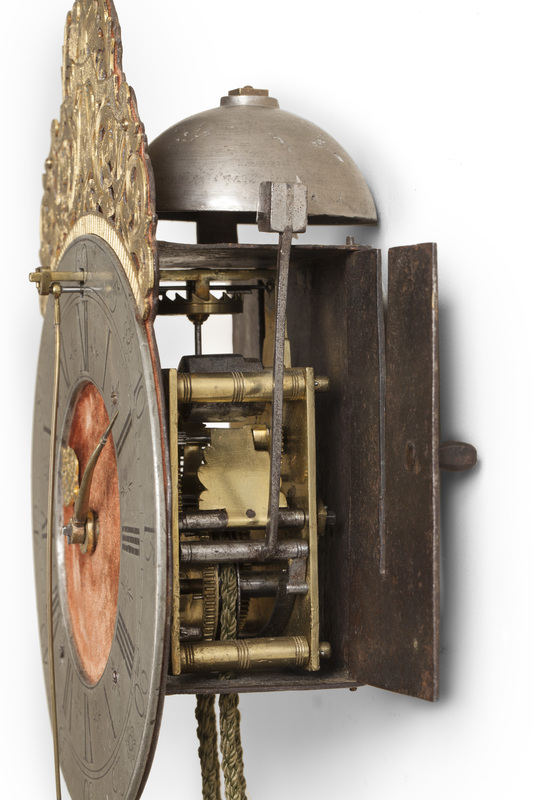 The going train has verge escapement with a short pendulum mounted in front of the dial (Kuhschwanz – ‘cow’s tail’). 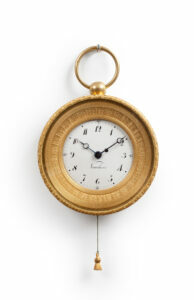 The hour striking train is regulated by a countwheel and indicates the hours on a bell behind the front ornament. 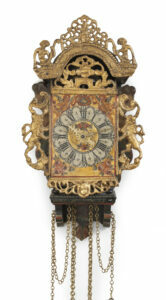 The clock is signed and dated on the front plate, Johan Christoph Heijn Sprottau 1734. 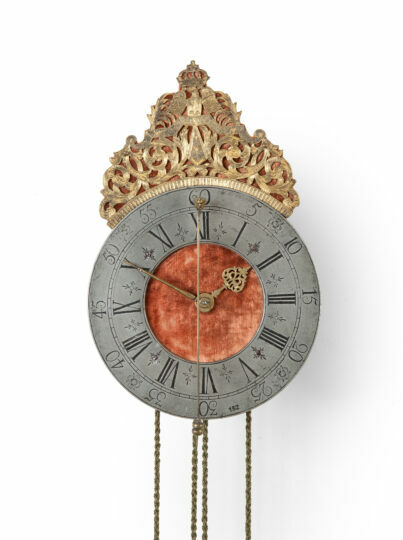 Johann Christoph Hein, is recorded as a clockmaker working in Sprottau in the first half of the eighteenth century. Sprottau was situated in Silesia in Prussia, now in Poland and called Szprotawa.